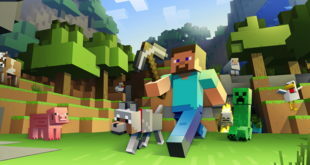 Home / Video Games / Active Visionary: Is licensing ready for Activision’s view of the future? Tim Kilpin is a man from toys. Having spent many years heading up the global brand strategy and consumer products division for Mattel, Kilpin is also a man to whom – when on the subject of toys – people tend to listen. ?In February this year, he made the move to Activision Blizzard, a leader in the video games industry. ?CEO and president of the firm’s consumer products division, Kilpin has since been busy developing the licensing opportunities around some of the biggest names in the space, including Call of Duty, Overwatch, World of Warcraft and Candy Crush. 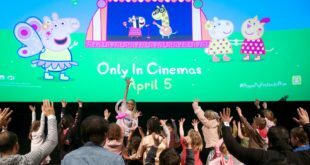 A slight departure from Barbie, Hot Wheels and Monster High, perhaps, but when dealing with mass entertainment, global franchises, sentiment tends not to stray too far. It’s perhaps why, when he talks about the time being nigh for the toy industry to really start taking notice of the energy sur-rounding major video game properties, you could take that with a degree of certainty. “We are starting to see a new dawning for the age of video game and toy cross- over,” Kilpin tells Licensing.biz from his office at this year’s Licensing Expo in Vegas. It’s no secret that the video games space has been side-lined by the traditional toy retailer, showing preference for the blockbuster movie titles that have thrown up the likes of Minions and the Marvel franchise. However, and as reported by ToyNews back in March, the video games market is fast overtaking the film industry as the biggest form of mass entertainment. 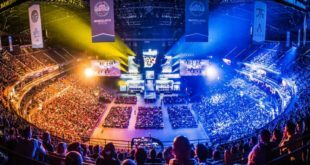 Adding to this, some exciting developments in the video games market – namely the surge in growth of eSports – means that the market is on the cusp of something revolutionary. “There is a huge amount of energy and excitement around eSports as a growing opportunity and platform in the licensing space,” continues Kilpin. Admittedly, from the peripheral markets such as toys, eSports is a foreign concept. However, as a business, the video games market research firm, SuperData suggests that it could hit a value of $1bn by the end of the year. A main player in this field is the game, Overwatch, meaning that Activision has a vested interest in the success of the space. “We are beginning to see the formation of the Overwatch league and Call of Duty world league, placing Activision at the forefront of the eSports movement. And we are going to be bringing this to life with franchises,” explains Kilpin. But what has a community of video game obsessed geeks got to do with the toy industry? Besides the fact that the audience for video gaming is getting younger each year, with the substantial rise in mobile app gaming playing a key role in this, it is at a fan engagement level that the toy industry can spot its in-road to the medium. “Within our franchises alone, you are looking at 40 billion hours of gameplay – that’s crazy engagement," says Kilpin. Prior to Kilpin’s arrival earlier this year, Activision has been no stranger to the toy industry, having carved out the toys-to-life market back in 2013 with the launch of its hit Skylanders brand. It goes some way to highlight the vision of the firm that has, for many years, placed itself at the forefront of innovative new approaches to toys and gaming. Yet, for retailers still not convinced of the role video gaming has already and is yet to play within the toy space, the firm now plans to bring its franchises to the movies. Under the leadership of Kilpin, the firm is set to develop a live-action series of movies set in its Call of Duty universe. “The plan for Call of Duty is to create a live action feature film franchise that will start in 2019,” continues Kilpin. “This means that storytelling opportuni- ties are very rich. Of course, with that avid fanbase already in place, we have to live up to expectations. No one is going to allow us to do something that isn’t the best and there’s no doing these things half-assed." What it does mean, however, is that from 2019 onwards, demand for fan emersion within Call of Duty is likely to hit new heights, and the firm fully expects to see that base look to surround themselves in the property, from apparel to toys.